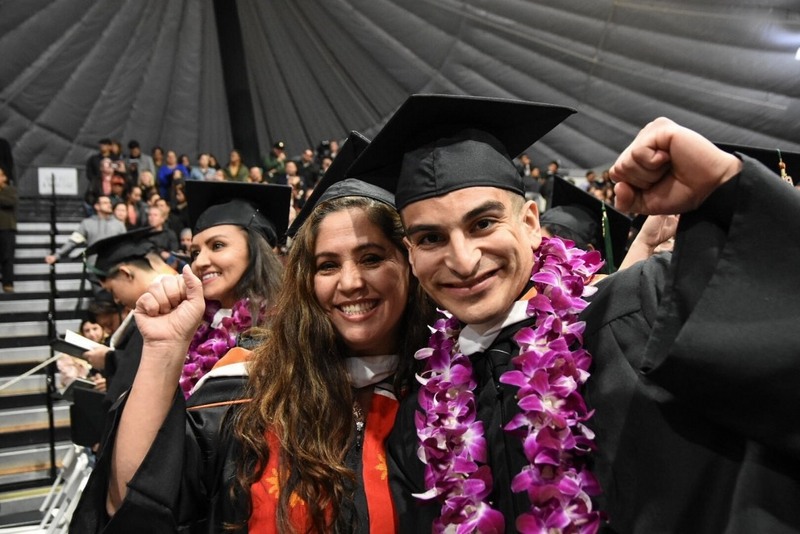 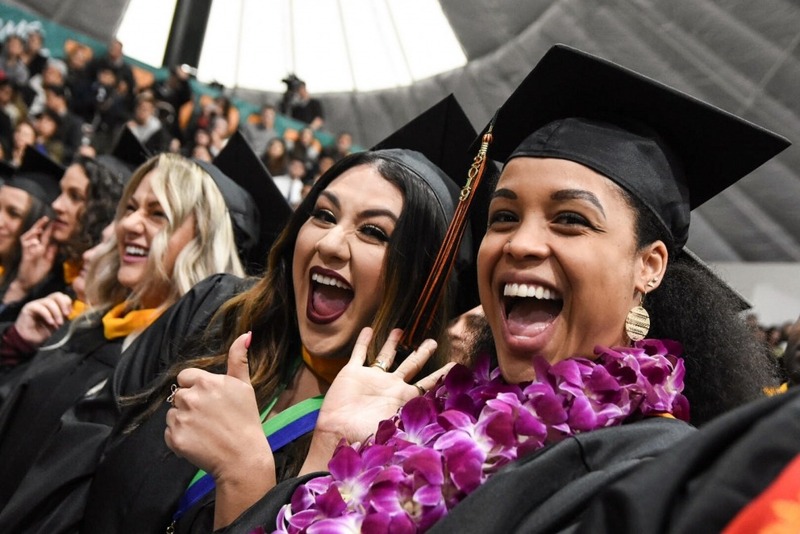 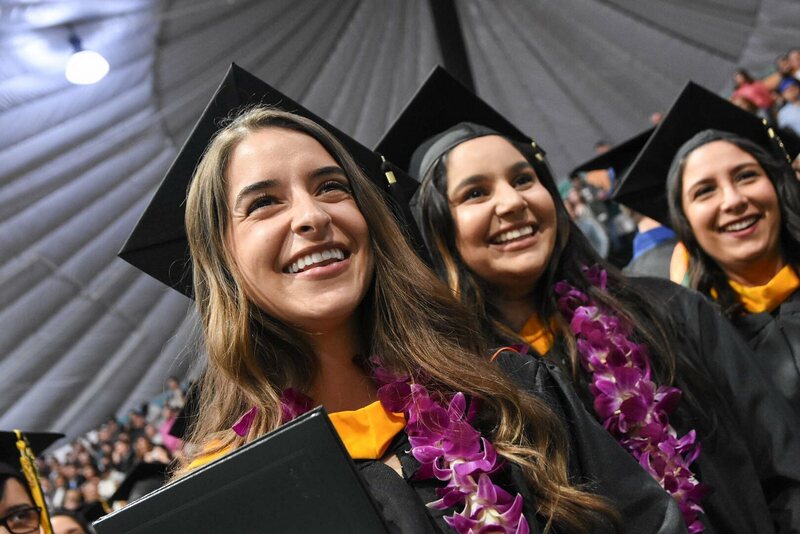 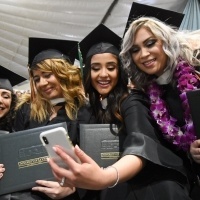 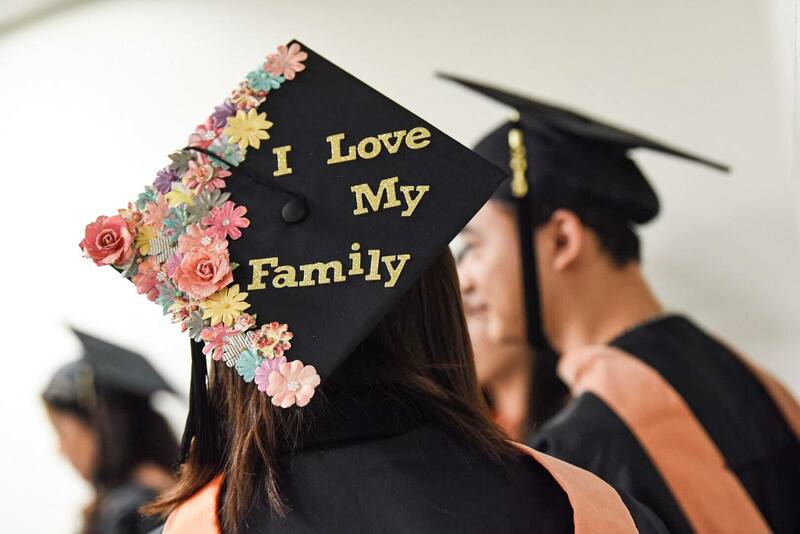 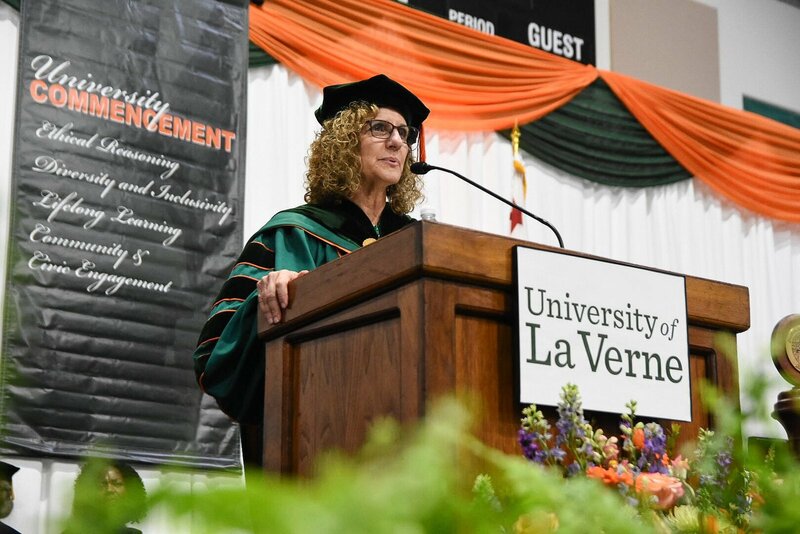 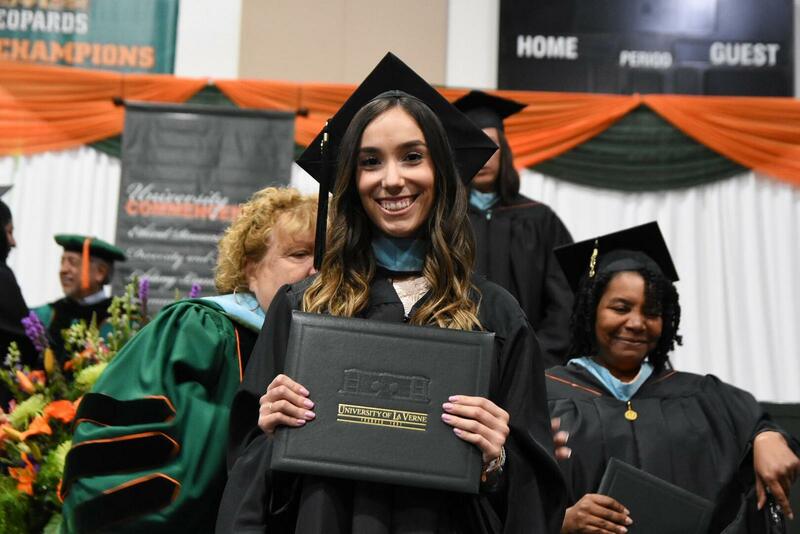 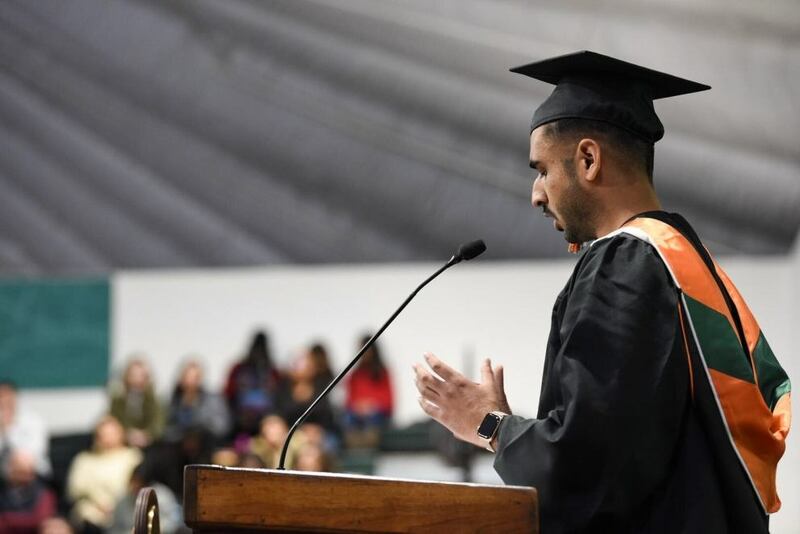 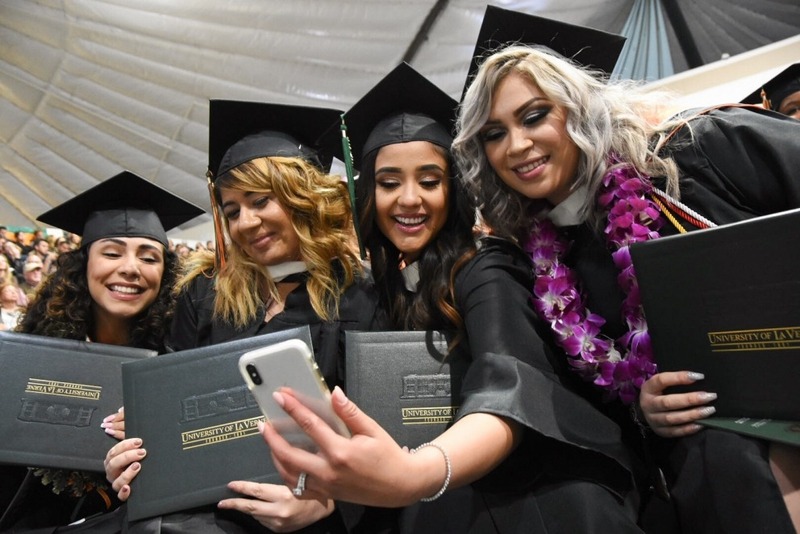 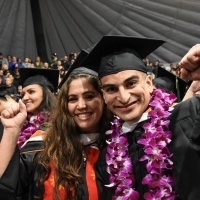 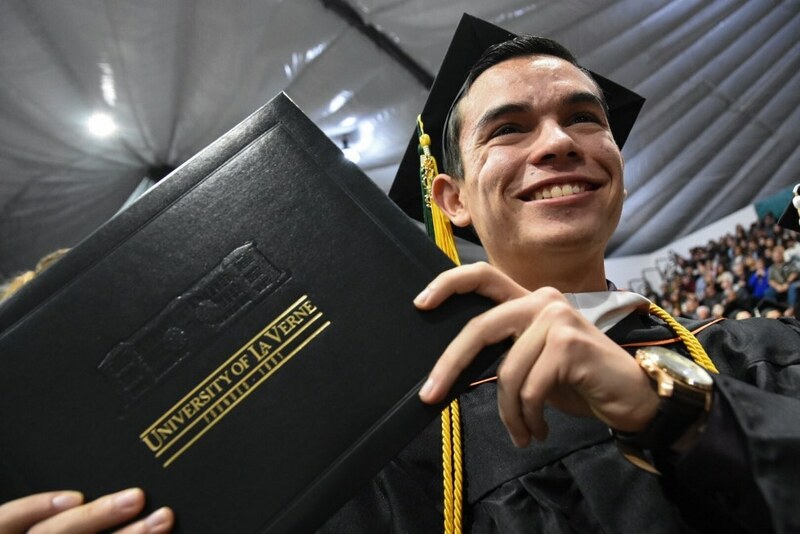 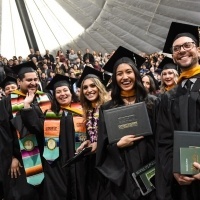 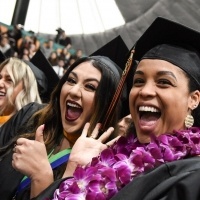 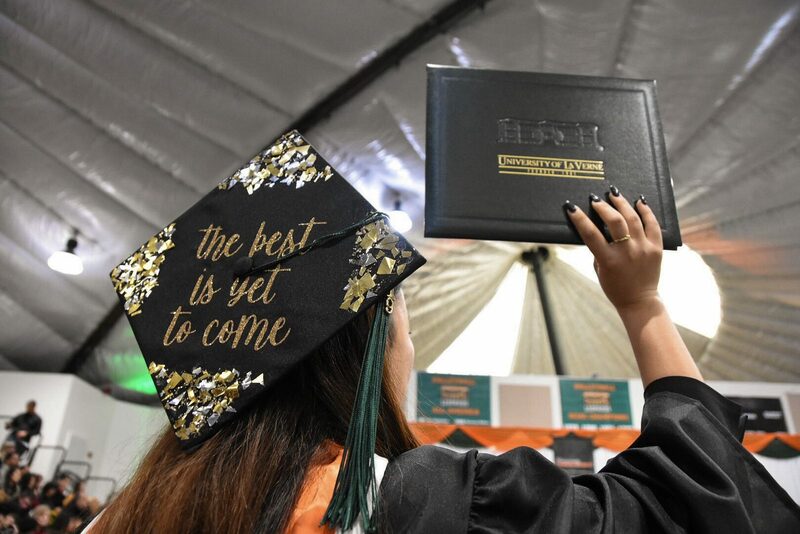 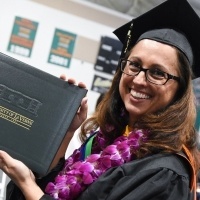 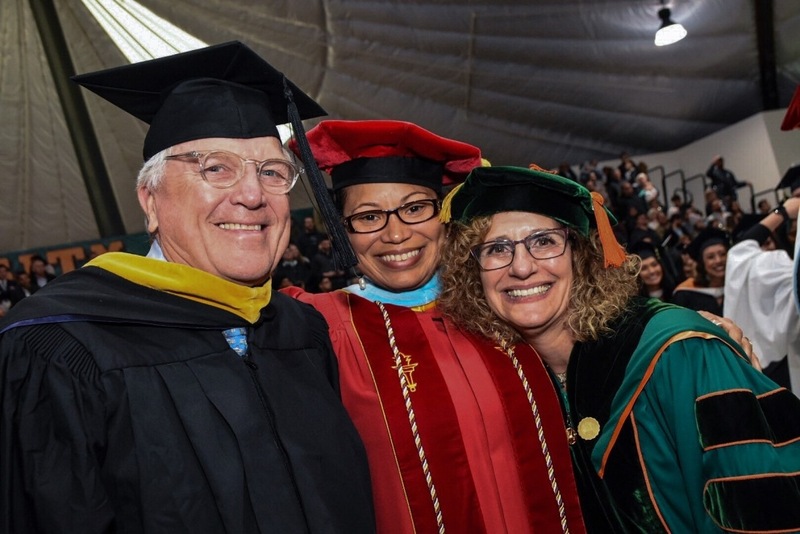 The University of La Verne honored more than 700 students from the College of Arts and Sciences, LaFetra College of Education, and College of Business and Public Management during Winter Commencement ceremonies on Feb. 1-2. 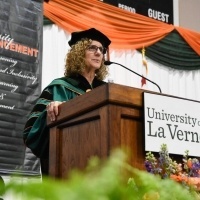 Family, friends, and faculty gathered at the Sports Science and Athletics Pavilion on the university’s La Verne campus to celebrate the achievements of the graduates in programs including, psychology, child development, creative writing, biology, organizational management, public administration, and business. 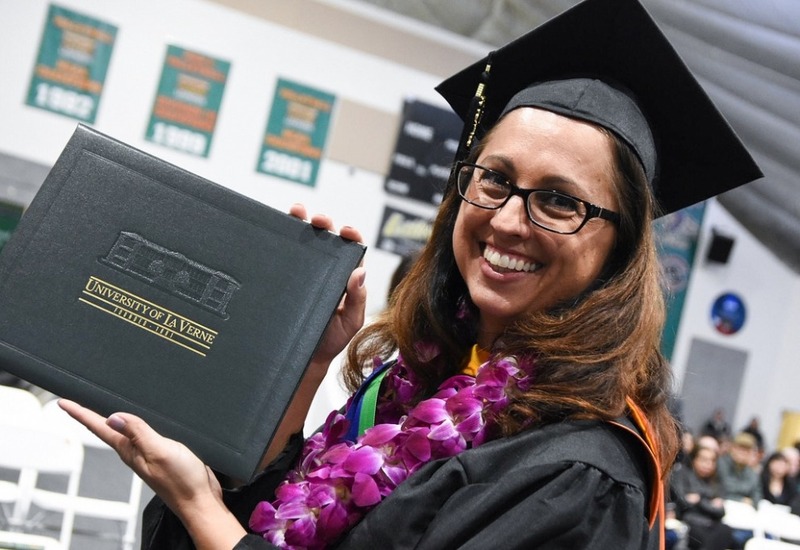 The graduating class included students from the La Verne campus, online programs, and regional campuses. 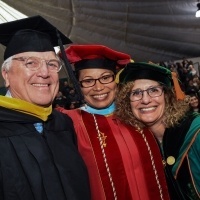 During the ceremonies, President Devorah Lieberman acknowledged the hard work of the graduating class and encouraged all to revel in the moment. 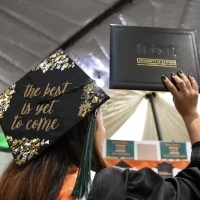 “This is your time graduates. 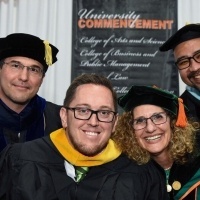 Enjoy the moment and never forget your Leo Experience,” Lieberman said. 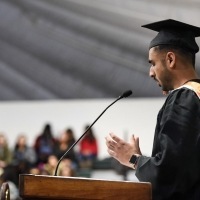 On Friday, Feb. 1, the College of Arts and Sciences welcomed keynote speaker Hal Hargrave, owner of the Perfect Step and founder of The Be Perfect Foundation. 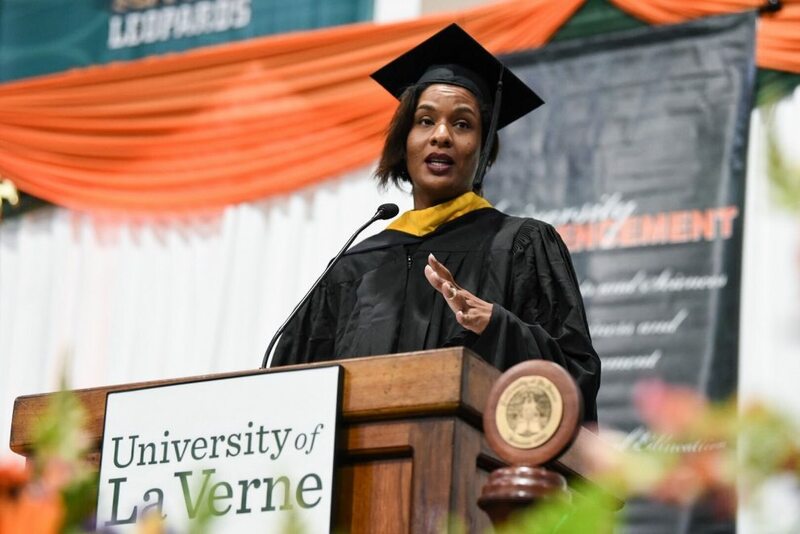 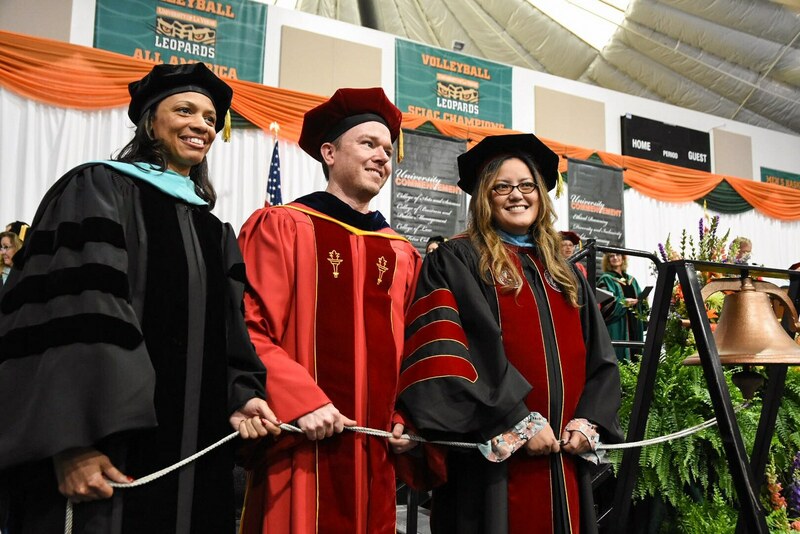 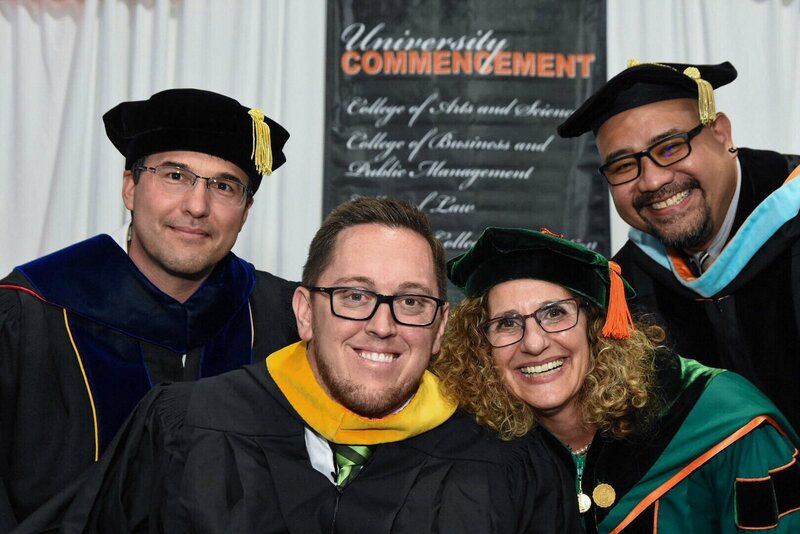 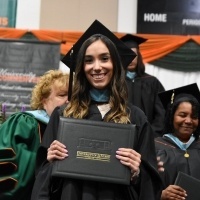 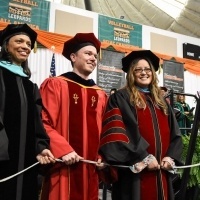 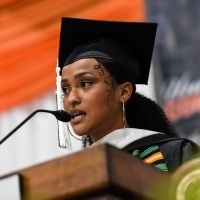 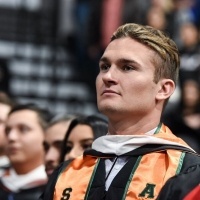 Hargrave, an alumnus of the University of La Verne, advised graduates to appreciate and value the time they have spent on their education and to keep moving forward. 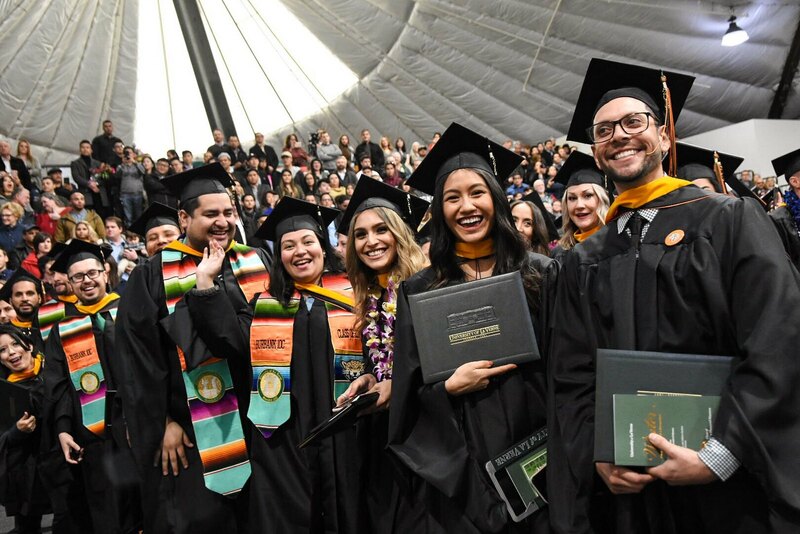 During the ceremonies on Saturday, Feb. 2, Robert Owen Carr, founder and chief executive officer of the Give Something Back charitable organization, addressed graduates of the LaFetra College of Education. 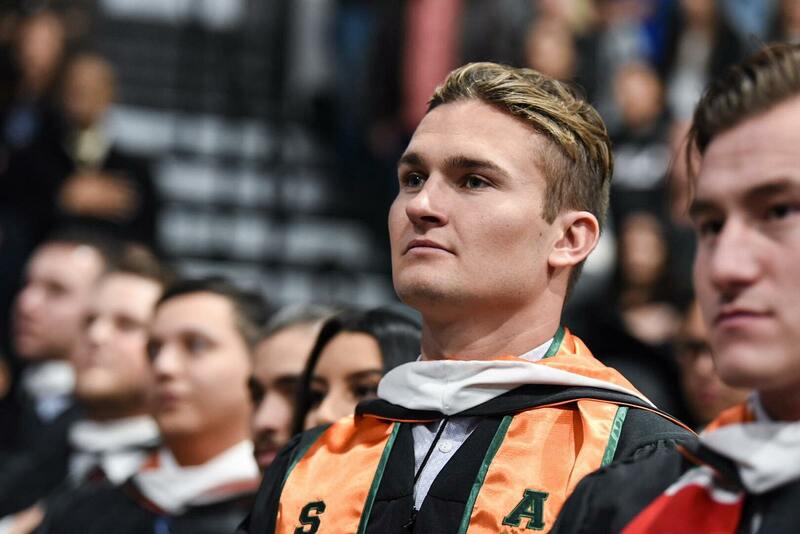 Carr shared how others helped him on his educational journey, and praised LaFetra graduates for their commitments to supporting education in their communities. 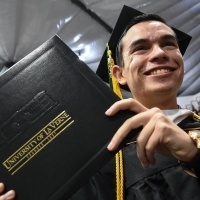 “There is nothing quite as gratifying as helping students find their way,” he said. 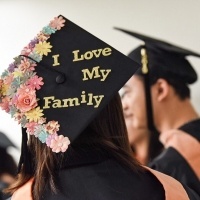 Give Back provides financial and social support to help students from disadvantaged backgrounds attend college. 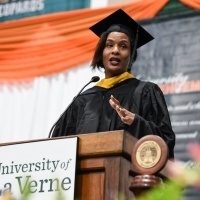 It currently works with 30 colleges and universities in seven states, including the University of La Verne. Kiana Webb, president of Webb Family Enterprises, served as the keynote speaker for College of Business and Public Management ceremonies. 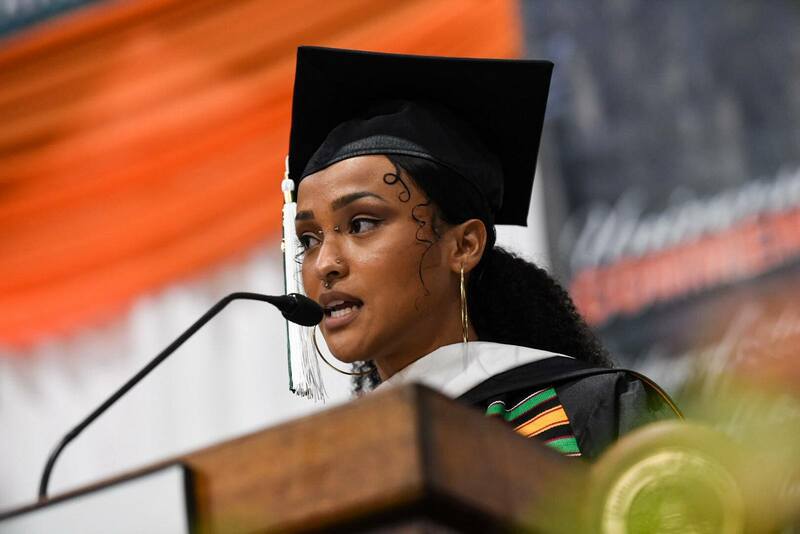 She acknowledged the love, support, and compassion she learned from her family and the strength of her mother that inspires her every day. 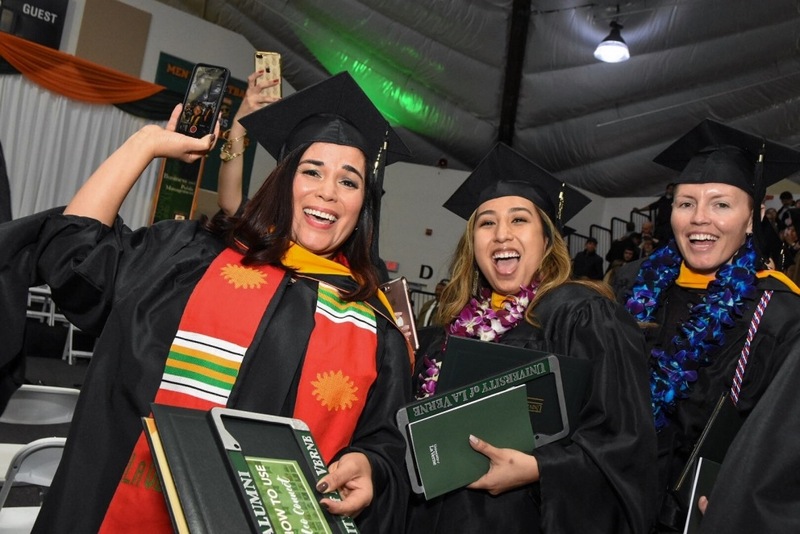 The winter class of 2019 joins more than 80,000 alumni. 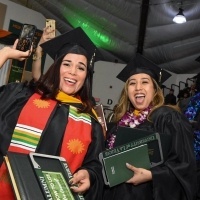 For additional photos, click on the designated college.